Austin, Texas, is a beautiful city. Of course, I went there in an attempt to flee the deepest part of a midwestern winter, so arriving in a city that was experiencing 70-degree weather was enough to make me fall in love with it all on its own. 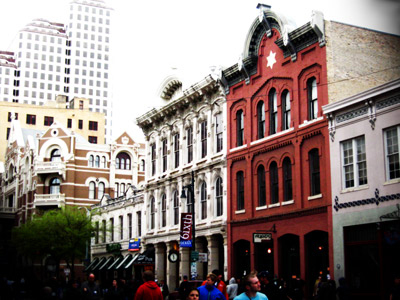 But Austin is not lacking in its charms. With its beautiful rivers and picturesque skyline, this city which has been described to me on numerous occasions as “the California of Texas” captured a little bit of my heart. 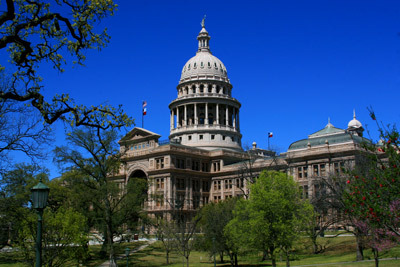 Of course, any city boasting a capitol building (pictured above) made of pink granite possesses a good deal of character, and when that slightly pink capitol building is located in the Lone Star State — a state that prides itself on being the biggest, the baddest, and the most independent of all — it only adds to the enjoyment. But what else did I like about Austin aside from the architecture? Oh, that’s easy. The music! By the most wonderful of coincidences, I ended up in Austin during one of its biggest musical weekends: SXSW. That is to say, its annual South By Southwest indie music festival. I managed to attend a few free concerts by some amazing musicians, and was lucky enough to wander around the historic downtown area at a time when the roads were closed to vehicles and were instead teeming with excited fans zipping from concert to concert and merry food vendors offering the most delicious of treats. 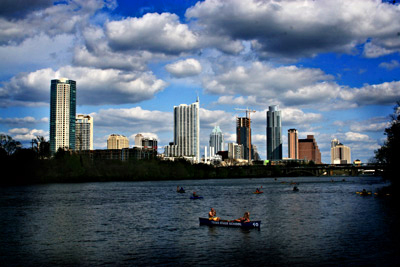 Music festival or no, Austin’s definitely a city with a lot to offer. At the risk of alienating some readers, I’ll admit that I never imagined I’d find anything very appealing in Texas, but I was pleasantly surprised by this eccentric and well-situated city. I think another trip to Austin lies in my future.